(MENAFN - The Conversation) The first case of Lassa fever in Nigeria was recorded in 1969. A zoonotic disease endemic to West Africa, the disease was named after the town in Nigeria where the first case occurred. The past seven years has seen a spike in the number of cases as well as deaths from the disease. In addition, its geographic range is spreading . Last year was particularly bad: 3,498 suspected cases and 171 deaths were reported . Another outbreak has gripped big parts of the country – and may be even worse than last year. It's particularly disheartening that Nigeria has failed to control Lassa fever outbreaks, which happen every year. The country responded successfully to the deadly Ebola outbreak of 2014 – yet it seems unable to do the same when it comes to bringing Lassa fever under control. Each year it's taken by surprise, unprepared to rapidly and adequately respond to new outbreaks. This is true not just of Lassa fever, but of other diseases too, such as Yellow fever, Cerebrospinal meningitis as well as monkey pox. There is currently an active Yellow fever outbreak as well as 311 suspected cases of monkey pox in 26 states. There are three main reasons: the first had to do with a weak system of disease control in the country. Related to this, is the fact that Nigeria has become too dependent on foreign aid for its surveillance needs. And the last factor is that the country's inability to clean up its streets and manage its garbage has led to a spike in the rodent population. Rodents are considered possible carriers of the Lassa fever virus. All levels of government in Nigeria have, for many years, neglected and underfunded the health sector in general and disease surveillance, in particular. As a result, the country has been unable to detect and rapidly and efficiently control or respond to outbreaks. As a result, Nigeria now depends too much on foreign aid for disease surveillance. It's difficult for the country to coordinate assistance programmes that are funded and run by international NGOs and other partners with defined objectives. This has resulted in a haphazard and uneven development of the national disease surveillance system and the failure to establish a national functional laboratory network. The country has failed to sustain the structures and facilities that were used to control Ebola in 2014. The control of the 2014 Ebola outbreak in Nigeria was a combination of chance and an eventual commendable but rare performance of the country's national disease control system. Nigeria was able to limit the Ebola epidemic through a combination of factors – the laboratory confirmation of Ebola virus disease outbreaks, the rapid declaration of an emergency by the government, the setting up of an emergency operation centre and the aggressive tracing of contacts. But soon after Nigeria was declared free of Ebola, the emergency operation centre was closed. Other contributory factors to the persistence of Lassa fever is the fact that rodent populations aren't being kept control. This matters because rodents currently regarded as the hosts of the Lassa virus . One theory is that increased transmission may have resulted from transmission from local rodent populations, rather than human-to-human transmission. With Nigeria becoming filthier by the day, there is bound to be an increasing contact between the humans and rodents . In three decades immediately after Nigeria's independence in 1960, the federal government and each of the state governments had effective disease surveillance divisions responsible for disease surveillance, prevention and control. The ability to actively and efficiently respond to disease outbreaks was based on the strength and effectiveness of disease surveillance at each level of governance. But the entrenchment of military and unitary rule led to a progressive disruption of good governance. Under poor political leadership, the states abandoned their responsibilities and became totally dependent on the federal government – which in turn was dependent on foreign aid – to survey for and control diseases. To remedy the situation, Nigeria must recognise and understand that it makes economic sense to prevent rather than control disease outbreaks. Prevention results in a significant reduction in disabilities and deaths from diseases and can be achieved through reliable and responsive disease surveillance, prevention, control and response. Therefore, providing adequate funding to maintain and sustain an effective national disease surveillance system backed by a reliable laboratory network service is the first step in ensuring national health security and protection of Nigerians from the ravages and death caused by disease outbreaks. This calls, not for dependency on foreign aid and assistance, but on national ownership of disease surveillance and control systems. 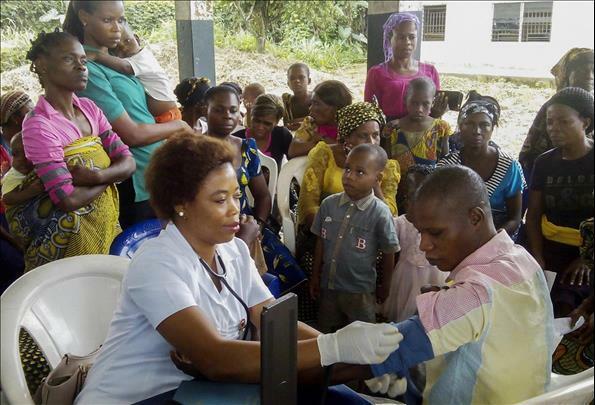 Nigeria took the first step towards achieving this vision with the establishment of the Nigeria Centre for Disease Control in 2011 to enhance the country's preparedness and response to epidemics through prevention, detection, and control of communicable diseases. The positive effects of establishing the NCDC are starting to show. There is an improved awareness among health care workers and the public of Lassa fever. And cases are now detected faster and appropriate action can be taken before more states are infected. Another area of improvement is in the laboratory diagnosis of Lassa fever cases. Before 2014 – when the CDC began getting funding for disease surveillance and the coordination of laboratory back up – diagnosis of Lassa fever was based mainly on clinical diagnosis. But there's since been an increasing number of laboratory confirmation of suspected cases. The establishment of new legislation under the NCDC is a small, yet important step. But it's one thing to have a law, it's another to implement it. The Nigerian government must back the political will for improving disease prevention and control with financial commitment to ensure the sustainability of the NCDC.